Have Questions? Contact Ballen Brands! 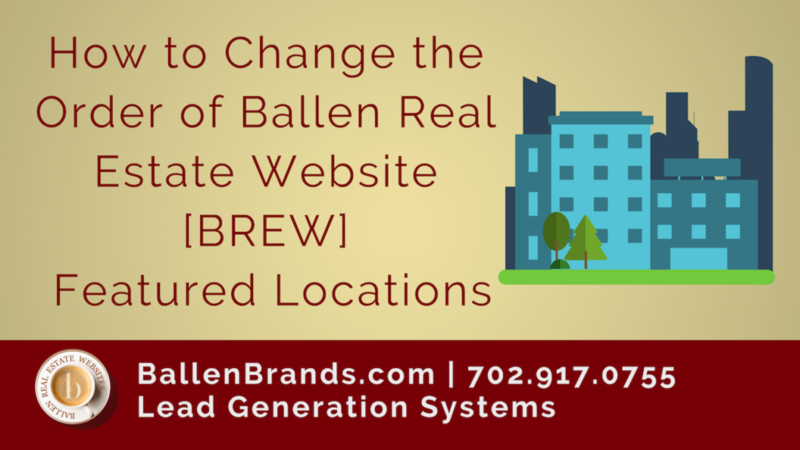 BREW (Ballen Real Estate Website) main pages are built with a selection of showcase pages set to be Featured Locations. In most cases, we choose three, but you may add more depending on your needs. There may be times when you’ll want to change the order of the featured locations shown. 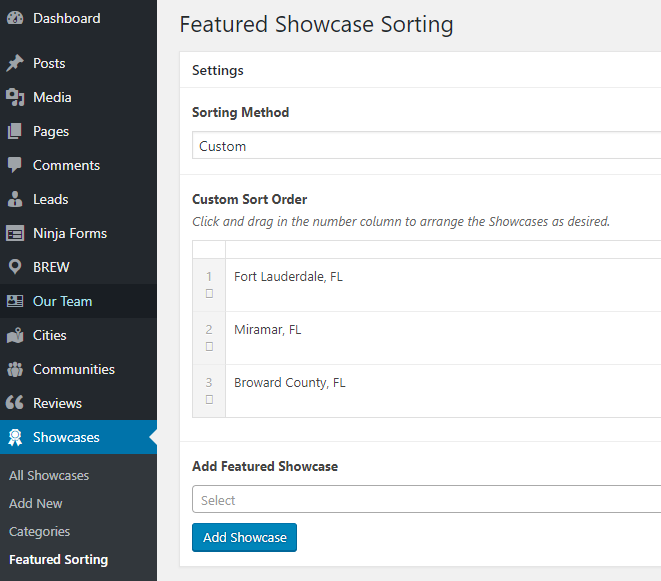 While logged into the BREW’s WordPress dashboard, look to the left side for Showcases. Hover over the word Showcases to see a slide out menu. Select Featured Sorting. Under Settings, you’ll see Sorting Method. Choose Custom from the drop-down menu. Drag the showcase pages into the order you wish them to appear. Click Update when finished.